Joe Turvey's high school baseball coach saw good things happening for his young catcher, according to The Philadelphia Inquirer. "He plays in the mold of the old-time catchers," Turvey's coach Cliff Hubbard told The Inquirer. "None of this one-handed catching for him. He blocks the plate extremely well, and he's great at avoiding passed balls. At the plate, he has good power. I can see him being very successful as a pro." Hubbard spoke to The Inquirer after Turvey had been drafted by the Cardinals. Turvey went on from there to a pro career that lasted five seasons. He never really realized the success his coach had envisioned. Turvey played five seasons, he never made AA. 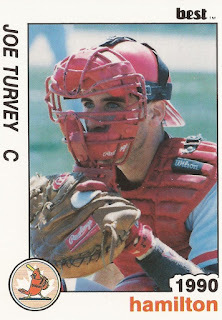 Turvey's career began that year in 1989, taken by the Cardinals in the 18th round of the draft out of Roxborough High School in Philadelphia. During his final season at Roxborough, Turvey told The Philadelphia Daily News his view on catching. "It's always a high to put on the equipment and get back there," Turvey told The Daily News. "I never get tired of it. I guess it's like the feeling people get when they dress up in a tux every so often." 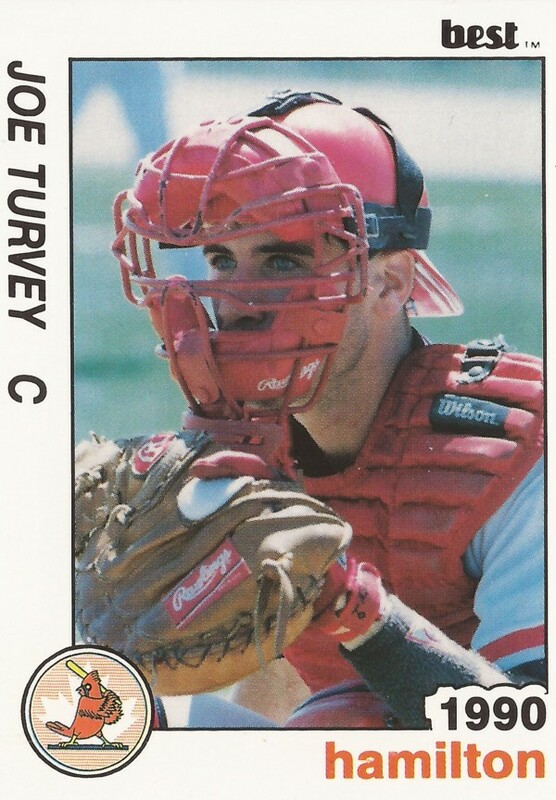 Turvey started with the Cardinals in the rookie Gulf Coast League. He got into 17 games and picked up three hits in 27 at bats. He played 1990 at single-A Savannah and short-season Hamilton. He played 27 games at each stop, hitting .176 on the year. He then returned to Hamilton for 1991, hitting .174 over 38 games. It was a return to Savannah for 1992, but he was used sparingly. In 35 games, he hit .158. In one game, though, he picked up two hits and three RBI. Turvey moved to high-A St. Petersburg for 1993, but his playing time was limited to 13 games. He went 7 for 27. It was his final season as a pro.